DEFOE and SPIN-TCP have decided to carry out nationwide representative surveys with the purpose of knowing which are the variables and heuristics that define the preference of voters before the beginning of the electoral season. The DEFOE-SPIN surveys will not only reveal electoral preferences, they were also designed to evaluate methodological aspects of debates that remain unresolved and will allow to reject (or not) hypotheses about “non-response”, effects of different phrasings in the questionnaire, and the effect of the media on the formation of preferences outside campaign periods. More important, the DEFOE-SPIN pre-election surveys will be public in their totality, including the database and the questionnaire. In consequence, any interested person, not only academics, but mainly analysts or members of the media, in Mexico or anywhere in the world, can review the methodology, carry out analysis different from those of DEFOE and SPIN and, where appropriate, make suggestions to improve the exercise. In DEFOE and SPIN we have been interested, for a long time, in retaking the agenda on electoral behavior in Mexico, which has lagged in recent years, precisely due to the lack of public and complete databases of electoral surveys. Electoral surveys in Mexico, which at first provided certainty by granting valuable information to political actors, the media and voters, have sometimes become a source of sub-optimal decisions within political parties when choosing their candidates, of misinterpretations in the media, and even the origin of post-electoral conflicts. The DEFOE-SPIN surveys seek to spark the debates around electoral behavior in Mexico and set an example of what we understand by transparency and commitment to the scientific work in the publication of electoral surveys. It is important to note that we are against survey regulation by the authorities and we firmly believe that the polling guild should selfregulate through international best practices, including absolute transparency in the publication of information from public surveys. 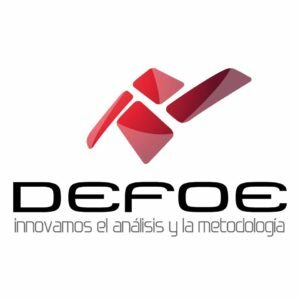 Defoe, Experts on Social Reporting, S.C. (DEFOE) is a public opinion company focused on the analysis of information and the generation of methodological processes that provide useful and strategic information to their clients. DEFOE has a range of experts with extensive experience in the analysis of the formation of public opinion, design of tools for the implementation of communication actions and advice on strategic issues for different public entities, government institutions, political parties, non-governmental associations, companies, academic institutions, among others. DEFOE has worked with the three levels of government: federal, state and municipal; nongovernmental associations, both national and international; private companies and Mexican and foreign academic institutions. Yamil Nares is CEO of DEFOE. In SPIN-Taller de Comunicación Política, S.C. (hereinafter SPIN-TCP) we prepare communication strategies focused on the comparative advantages of our clients, with the purpose of establishing favorable terms of the debate to obtain the proposed objectives. Likewise, we use the different communication tools to adequately interpret the perception of the public, as well to influence their opinion and position our clients. We are a team of consultants with a proven political record: We have known and faced the difficulties closely, which guarantees that our results are adequate in a timely manner. In SPIN-TCP we work under a multidisciplinary approach, which facilitates us to present a global and integral vision in each of our consultancies. Our services complement the diverse theories developed in the academic field and the experience acquired in the exercise of the profession. We are characterized by a rigorous research work and by the systematic collection of knowledge. Likewise, we carry out a careful analysis of the context, elaborate a complete diagnosis and present a detailed proposal of solutions and alternatives. Luis Estrada Straffon, CEO of SPIN-TCP, holds a Ph.D. in Political Science from the University of California, San Diego. Dr. Estrada has work experience in the areas of political analysis, political communication, electoral campaigns and electoral behavior. In recent years, Luis Estrada has served as Director of Risk Assessment in the Office of the President of the Republic; Deputy Director General for the Reform of the State in the Ministry of the Interior, advisor to the Secretary of the Interior and, later, as General Director of Social Communication of the same Ministry of the Interior. Dr. Estrada has taught courses in strategic analysis of politics, public opinion, research methodology, institutional analysis, political communication and crisis management and damage control at the undergraduate and master’s level, as well as in various diploma courses. In addition, Luis Estrada has written several articles in national and international journals and has given various conferences in Mexico and abroad. Simultaneously, he has participated in the analysis and presentation of political scenarios to various audiences in the financial and business sectors. The study, pre-electoral in nature, consisted of 1200 interviews in 120 electoral sections nationwide; in each electoral section, a total of 10 questionnaires were applied. The sampling frame used in the sample design were the electoral sections reported by the National Electoral Institute (INE) with information of October 2017. The sampling model was stratified by districts with equitable sample allocation. The selection of electoral sections was made in a systematic manner with probability proportional to their size in each district, using the Nominal List as a measure. The selection of housing was made under a systematic jump of 3 houses whether or not there was an interview conducted. The survey was applied to people over 18 years old with residence in the area selected at the time of the interview. The interviews were applied personally, face to face, at the homes of the people selected within the sample. For this purpose, the survey was carried out by 70 pollsters and 20 supervisors. Assuming simple random sampling, the margin of error is +/- 2.83% associated with a statistical confidence level of 95%. The survey was applied between the dates of October 28 to November 1, 2017. The study, pre-electoral in nature, consisted of 1191 interviews nationwide. The sampling frame used in the sample design were the electoral sections reported by the National Electoral Institute (INE) with information of October 2017. The sampling model was stratified in three regions of the country with equitable sample allocation. The first region or stratum corresponds to the states of Aguascalientes, Baja California, Baja California Sur, Chihuahua, Coahuila, Durango, Guanajuato, Jalisco, Nayarit, Nuevo León, Querétaro, San Luis Potosí, Sinaloa, Sonora, Tamaulipas y Zacatecas; the second region or stratum corresponds to the states of Campeche, Chiapas, Oaxaca, Quintana Roo, Tabasco, Veracruz y Yucatán; the third region or stratum corresponds to the states of de Colima, Ciudad de México, Estado de México, Guerrero, Hidalgo, Michoacán, Morelos, Puebla y Tlaxcala. The selection of electoral sections was made in a systematic manner with probability proportional to their size in each stratum, using the Nominal List as a measure. The selection of housing was made under a systematic jump of 3 houses whether or not there was an interview conducted. The survey was applied to people over 18 years old with residence in the area selected at the time of the interview. The interviews were applied personally, face to face, at the homes of the people selected within the sample. For this purpose, the survey was carried out by 112 pollsters and 27 supervisors. The survey was applied between the dates of December 15 and 18, 2017.